Former Lt. Governor, W. Gordon McOmber, (98) died Friday, August 24, 2018 in Great Falls, MT of natural causes. Services will be held in the Fairfield LDS Church in Fairfield on Friday, August 31st at 10:00 AM with a Visitation at 9:00 AM. Burial will follow at the Sunset Hills Cemetery in Fairfield. He was born October 2, 1919 in Magrath, Alberta, Canada of American born parents, Marshall P. McOmber and Alice Laverne Winegar. With his parents and five brothers and sisters, he moved to Cascade, MT in 1929 and in 1933 to the Fairfield area. Brothers, Calvin, LaVar (Barbara), Claude, and sister, Josephine (Jo) Brunner preceded him in death. Last living sibling, sister, Betty Jane Demos reside in California. In 1941, he married Marian E. Corbett. She died in 1965. They had three children: Dennis (Elaine) McOmber, Gene B. (Kathy) McOmber (deceased) and Sandra S. (Len) Taylor. From these marriages came nine grandchildren, 26 great-grandchildren and two great-great-grandchildren. In 1980, Gordon married Jean Handel, Executive Secretary to Governor Thomas Judge and former Governor, Forrest Anderson, in Helena, MT. Jean died in 1991. Gordon graduated from Power High School in 1938, then worked for the Anaconda Company, truck driving, and in construction. He started farming on his own 70 rented acres of native sod that he broke with machinery borrowed from his parents. In 1951, he purchased three homesteads west of Fairfield and added to them land that made up the family farm that was still owned by the family until recently. 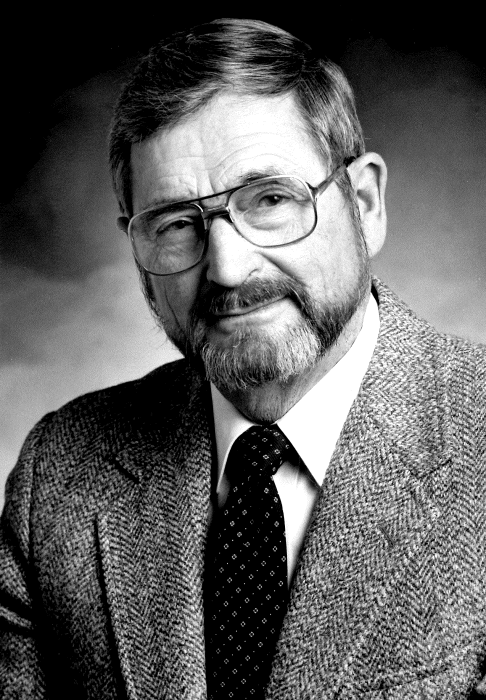 Gordon was a Pacific Navy Veteran of WWII, served on the School Board, Board of Directors of the Greenfield Irrigation District, and as a member and Chairman of the Board of Directors of Fairfield Farmers Oil Cooperative. He was Commander of the Veterans of Foreign Wars Post in Fairfield and a member of the American Legion and Chairman of the committee appointed to plan financing and building of the present Fairfield Community Hall after the old one burned to the ground. McOmber served 11 sessions in the Montana Legislature, first as a member of the House of Representatives from Teton County from 1955-1962, and from 1965-66. He was elected to the Montana Senate and served from 1967-68, and from 1971-77. McOmber became the first Montanan elected as Senate President by his peers under the provisions of the 1972 Montana Constitution. He served as President of the Senate for three sessions. In 1977 McOmber resigned his Senate Seat when he was named Director of Montana’s Department of Agriculture by Governor Thomas Judge. He was reappointed to that position by Governor Ted Schwinden in 1981 and resigned as Agriculture Director in 1982. Governor Schwinden then appointed him to the Montana Reserved Water Rights Compact Commission, a state board that negotiates water rights with Indian tribes and federal agencies. He served as chairman of the Commission from January 1983 to June 1986. McOmber has served on the Montana State University Advisory Council, the State Water Pollution Control Board and the Water Law Revision Council, which drafted Montana’s present water law. He also served as chairman of the state’s Advisory Council on Saline Seep. In 1986, he received the Distinguished Service award from the National Governor’s Association. In 1988, McOmber put off retirement for a year when he was appointed Lt. Governor by Governor Ted Schwinden to finish the term of Lt. Governor George Turman, who resigned. His main responsibility was to organize, direct and promote the State’s Centennial Birthday celebration. Gordon and Jean enjoyed spending time with the family and cruising in the Canadian gulf islands and the San Juan islands on the “Curlew” and on the Missouri river at Gates of the Mountains where the boat was docked. After Jean’s death, Gordon returned to Fairfield to be with his family. He was involved in Senior Citizen activities in Fairfield, on the Teton County Council on Aging, and was appointed by the Teton County Commissioners to the 7 County, 2 Indian Reservation Area III Agency Advisory Council on Aging. For the last 11 months of his life he resided in the Front Range Assisted Living, which he enjoyed very much.